So, here we are. A week's worth of impressions with what is one of the more gutsy offerings from any automaker. We are left with one last thing to answer - is it a 'real car' when all is taken into account? There are many ways to tear the Volt apart, to call it a weird science experiment of a car that has no place in the modern automotive landscape. How do you rationalize the weirdness of a compact sedan that costs twice its most comparable sibling in the GM lineup? How do you justify an electric car with a sub-40 mile range and a full gas-fueled power train to cart around as well? 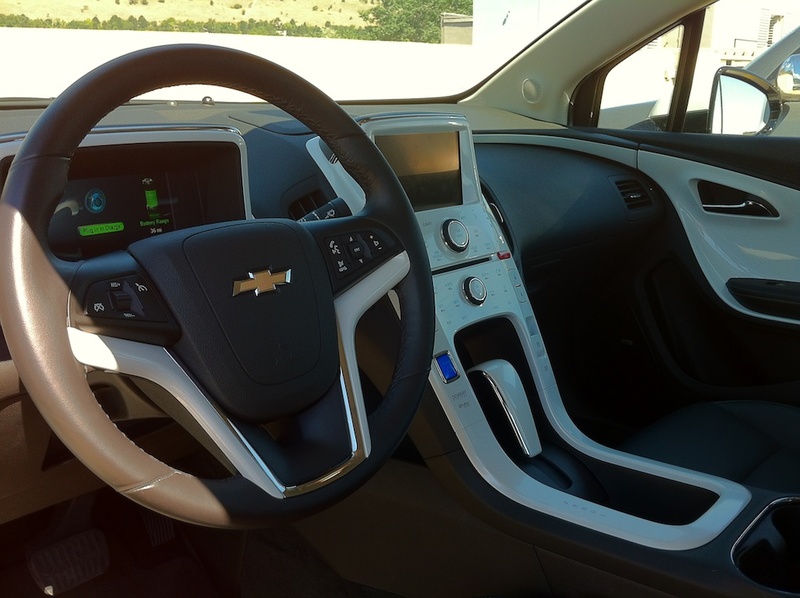 How can you excuse a $40k compact Chevrolet that seats just 4? Well, that is just it. 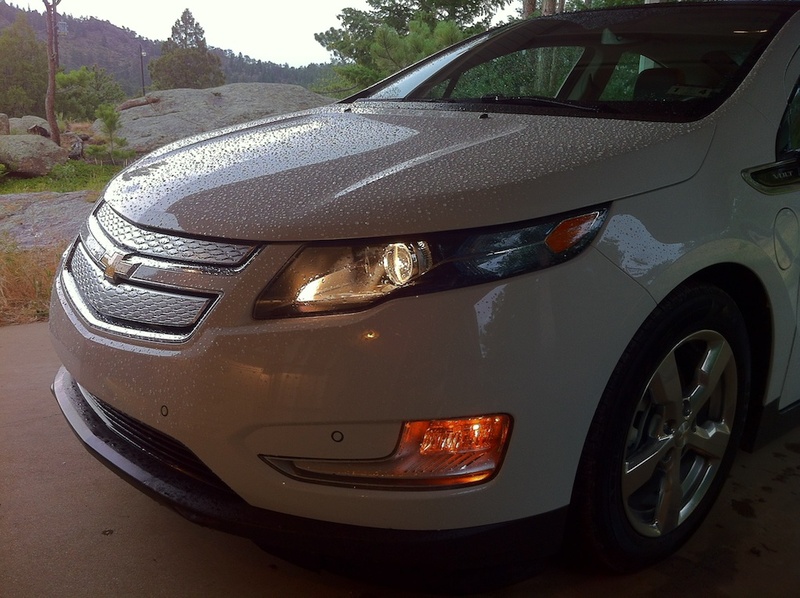 The Volt is a science experiment. Batteries and motors married to gas propulsion when most cars would be just as happy with just the gas engine. However, if you sat an uninitiated driver behind the wheel - what would they notice? Would they notice anything 'weird' about the experience? A shifter falls readily to hand and behaves exactly as decades of automotive practice have lead them to expect. Pedals and controls exactly where we've all come to expect them. Quiet operation. Readily available power greater than they'd expect. Fancy displays that suggest high-technology, even if they didn't know what they were suggesting or trying to communicate. They might noice braking that seems a touch off if they were sophisticated enough to notice a slight blip, the barest inconsistency as regenerative braking transitions into pads against disks. But, for all intents and purposes, a 'car'. Certainly, from a financial standpoint, the Volt is hard to justify at $40k or more unless you can get the federal tax credit. Bonus if happen to live in a state that has a credit of its own that brings the overall purchase down into normal compact sedan territory. GM has also partnered with their old GMAC financing arm (now called Ally Financial) to offer screaming good lease offers as well. Taken into account, the Volt doesn't cost like its MSRP suggests. Then there is the angle of utility. Only you know if seating for 4 in compact proportions is reasonable, but this is comparable to most compact offerings on the market with any other form of propulsion. You may not have the option of nightly charging - apartment or condo dwellers, I'm looking at you. In that case, a conventional car is going to be more efficient (a Volt purely on its 1.4 gas engine is not nearly as efficient as several of the comparably sized sedans on sale today.) But, if you have a readily available supply of electricity near your parking - plugging in is no more a burden than grabbing your briefcase or purse from the back seat every night.